Revolutionizing the current state of the industry, vape pod systems have become the force of reckoning for the year of 2019. The market, its products, and consumers that give it the ability to thrive are evolving, transitioning from a time where it was all about the mods and moving to a new time where it’s all about the pods. 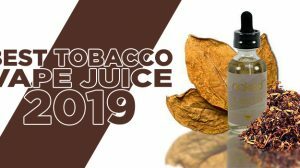 Whether you’ve bought into the whole vape pod system and salt nicotine e-liquid movement or not, there’s no denying the extraordinary impact that it’s had thus far. In this article, we’re going to dive deep into the depths of vaping’s newest phenomenon and share the Best Vape Pod System of 2019. From the most advanced vapor pod system that comes equipped with tech-infused chips and high power outputs to the most basic device that reveals the art of convenience and a simplistic functionality, our list of the best vape pod systems holds true to the consensus of the public. 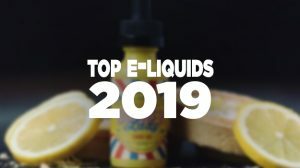 While it’s essentially the author’s opinion, there is great reason for each device landing on this list of the best vape pod system, and by continuing to read this article, you’ll learn about each device, its fascinating capabilities, and the reason why it’s considered to be one of the best vape pod systems of 2019. From one of the industry’s high-end brands, Lost Vape shares yet another marvelous device that features an incredible appearance, the convenience of utilizing a pod, the latest technology from one of the world’s most advanced chips, and a performance that’s crammed into a device that is no larger than a credit card — it’s the Lost Vape Orion DNA Go. The Orion DNA Go features remarkable quality and offers a striking appearance that tops others in its class. It utilizes an integrated 950mAh rechargeable battery for its power, while the advanced Evolv DNA Go Chip delivers it. Included with this chip comes an array of features, including the ability to reach up to 40W, three power outputs, replay functionality, and it’s all controlled via a firing button and its own dedicated adjustment button. 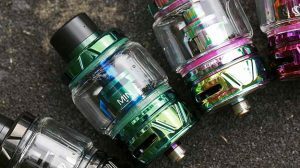 It also boasts Orion Pod’s that offer a 3ML e-liquid capacity, dual adjustable airflow control, a threaded cap top-fill design, an MTL Delrin drip tip, and there’s two options, a 0.25-ohm SSd16L vapor-focused pod, and a 0.5-ohm SS316L flavor-focused pod. 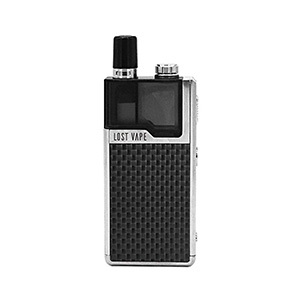 Due to the incredible success of the Orion DNA Go, Lost Vape has gone full circle by releasing yet another big hit on the market. It has essentially re-released the Lost Vape Orion without the DNA Go Chip, and they’ve named it the Lost Vape Orion Q. It’s obviously an outstanding device without the help of EVOLV though it still uses its own proprietary onboard chip without all the fancy tech-infused features but still sports a compact design, amazing appeal, and a 950mAh integrated battery that supplies the grunt of its power capability. With the new chip, performance is generated based on the current state of the battery with its direct voltage output. Aside from the power output, the Lost Vape Orion Q edition introduces a new 1.0-ohm KTR Orion Pod, which uses a Kanthal coil and organic cotton wicking. The pod has a 3ML e-liquid capacity, dual adjustable airflow control, a threaded cap top-fill design, and an MTL Delrin drip tip. The reason why the Lost Vape Orion Q fits into this list is that without the DNA Go chip, the Orion is still an awesome device to own. It’s more affordable, still fun to use, and offers a great experience. 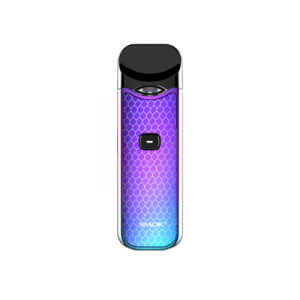 With inspirations from the popular Novo Kit, the SMOK Nord has become a clear winner in the vape pod systems category as of late. It features simplicity while playing a hand in delivering incredible appeal. It’s a balance between the two that SMOK has been able to achieve with its pod systems, but the Nord has even more to offer. The device looks absolutely amazing, boasting Cobra plated panels, a single button that acts as its firing mechanism, and the device itself is super compact, spanning just 94mm tall, 30mm wide, and a mere 18.8mm in depth. It utilizes an integrated 1100mAh rechargeable battery, giving it the capability to reach up to 15W, though it uses a direct voltage based output where the performance is based on the current state of the battery. For superior convenience, the SMOK Nord features a fillable pod that offers a large 3ML e-liquid capacity. A big feature with this pod is that it has a replaceable coil design and three coil options, including the 0.6-ohm Nord Mesh Coil for sub-ohm vaping, the 1.4-ohm Nord Regular Coil for MTL vaping, and a 1.0-ohm Nord Ceramic Coil for enhanced flavor and longevity, which is sold separately. 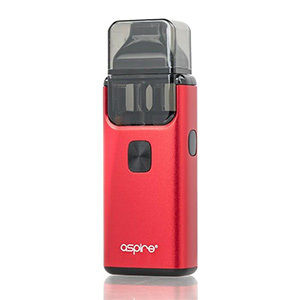 Improving upon the original Aspire Breeze, the all-new Aspire Breeze 2 delivers even more features, greater appeal, a convenience that surpasses others in its class, and the performance is through the roof! Featuring blazing appeal, the Aspire Breeze 2 is not only made simple in design with a u-shaped cylinder structure but also made to look quite handsome as well. You can have it in various finish options to really bring out your personality with some color, while you’ll also enjoy a sense of durability with its aluminum body construction and PEPG tank material. The device is rather compact, standing just 96mm by 35mm by 19mm, though it still has enough room to house an integrated 1000mAh rechargeable battery. For its performance, the device utilizes a direct voltage based output, where the performance is based on the current state of the battery. With a press on its single fire button, you’ll be able to activate the device with ease. The top of the device features a pod, which makes use of the Breeze U-Tech Coil System. This coil system consists of the 0.6-ohm Breeze U-Tech Coil and the 1.0-ohm Breeze U-Tech Coil designed for nicotine salt e-liquid. When the boom of vape pod systems surged onto the vapor products market, Suorin was one of the brands leading the movement. One of its most popular vape pod systems is the Suorin Air, which is a fascinating device to both own and use. The device is extraordinarily small, standing only 86mm tall, 46mm wide, and a mere 8mm in depth — yes, 8mm! 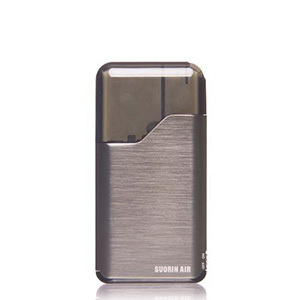 Despite its compact design, the Suorin Air has a hefty 400mAh rechargeable battery integrated into its body. To monitor the battery, there is an LED battery life indicator, and to charge it there is a micro-USB port equipped. Indeed, its small, but as you can already tell from its battery capacity, the Suorin Air offers big things in its small package. To add to its features, it also comes with a refillable pod that sports a 2ML e-liquid capacity, which is quite large for the device’s size. With this pod, you’ll enjoy a built-in 1.2-ohm coil, and the pod can be refilled time and time again with ease by locating the seal plug at the bottom of the pod. Enhancing the convenience of the device, the Sourin Air offers draw-activated firing, and there’s also an on/off switch to completely shut down the device when not in use. 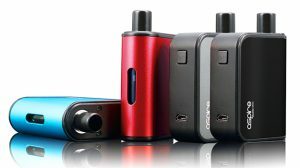 Although this list contains 5 of the most popular vape pod systems, there are many more that are emerging onto the scene every month. We created this list to showcase both popular devices and ones we personally enjoy but there are many spectacular pod systems already on the market, which could eventually prove themselves as a top contender for 2019. One of these products is the Asvape Touch Pod System, which offers a bit more than your traditional vape pod system. For instance, it comes with a 2.0″ full-body color touchscreen, allowing for modern operation. It also has a taste mode that gives you the ability to switch between soft, standard, and strong outputs. 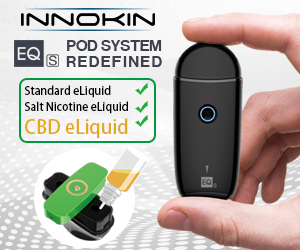 We aren’t saying the Asvape Touch Pod System or any other device on this list is the next big thing in vaping, but what we are saying is that there is a potential for the pod-based category to shift gears as new and innovative devices begin to surface. After the boom of vape pod systems, the market for them continues to flourish. As a result of increasing demand, these miniature, performance-driven devices will continue to make their way onto the market. The bright side to it all is that with each release, they continue to get better, utilize more modern technology, and allow for greater enjoyment. Though there are many great vape pod systems that exist on the market in 2019, it was the Lost Vape Orion DNA Go that tipped the scale in every category. It delivered when it came to design, price, and the chip that is integrated into the device, making it a hard one to beat. In fact, the device has gained so much popularity that it won GuideToVaping’s Best of 2018 in the “Best Vape Pod System” category. If you’re looking to get your hands on the industry’s best vape pod system of 2019, this list is a fantastic start to move you in the right direction. What is your favorite vape pod system? Let us know in the comments below. Added to our "Best Products" category, we share our list of the Best Vape Pod System of 2019. These are the pod systems that should be on your radar this year. 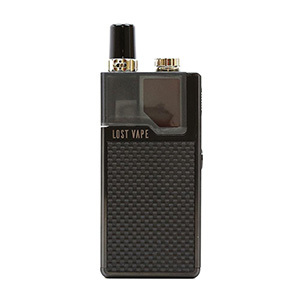 Lost Vape Orion wins, you hit this one on the Money Guide to Vaping! The DNA chip is no doubt the best way to use salt nic juice.